Great apps are even better when they’re on sale! We’ve selected 18 iPhone and iPad apps that are over 30% off. 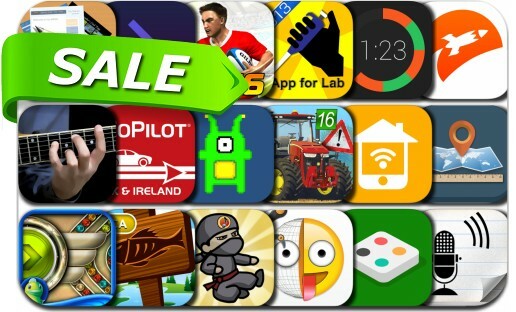 This app deal alert includes Rugby Nations 16, 2016 REAL Farming Pro Simulator Multiplayer, HTML Egg, Atlantis Sky Patrol, Blyss, Voice Text, Note Rocket, File New - Photo Editor, iCountTimer Pro, NinGenius Music - Student Edition, iMeasurer, Emoji Maker New, myHome - Home Automation and many others.